In this post we’ll look at some simple examples of how to use R in Power BI. While going through these examples, we’ll have a look at what is already possible in this preview version and what is not possible. We’ll do this by slowly examples from scratch so you can follow or rebuild the examples yourself. I’ll keep the technical explanations to a minimum as there are already a ton of books and courses filled with that. So if you’re seeking deep knowledge of the inner workings of R, this post is going to disappoint you. However, if you’re looking to keep it simple and just get started building cool or useful visualizations in R to explore your data, just keep reading! 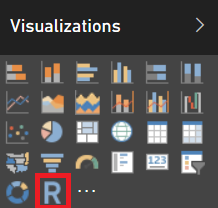 In part 1 of this series, I gave you a couple of reasons to start using R for visualizations in Power BI. In part 2 of this series, I gave you remarks on the R integration. You might’ve caugtht a glimpse of what is possible if you stepped outside of the lines that Microsoft drew. And I showed you an ugly error you can receive because of decimal symbol setting in your OS. In this part I’ll tell you about the things I discovered and the problems that I ran into in this preview version. Please note that the remarks below count for the december 2015 version of Power BI Desktop. R script visuals is still a preview, things might change in later versions. A lot of very cool stuff has been going on lately. Not only in Microsoft land, but also in my own live and it will affect you as well! Read on for some great news. At the end of August, Vishal Pawar (twitter | blog) contacted me via twitter. He was wondering if I was interested in creating a virtual Power BI community together with him and a couple of other incredible people. Of course I was interested, but I was already booked completely full for the coming period. I gave Vishal all my contact info and asked him to please keep me up to date. Fast forward to November where Microsoft announced Power BI User Groups to support the Power BI community even more. This announcement made Vishal pick up the previous idea again mid november. And so the Global & Virtual Power BI User Group (forum | twitter | facebook) came into existence. Because of previous engagements I wasn’t able to actively participate yet. This changed last week when I contacted Vishal and was welcomed with open arms. One of the things that amazed me the most was that there’s already an active community! It doesn’t matter what platform you like the most, the Global Power BI community is active on most of them. Because Vishal asked me, I’ll also list the people who are leading this community. Why a Global & Virtual User Group? Basically this is a User Group for anyone, anywhere and at any time. There is no need to hurry to a local meetup after working hours or worry about having to excuse yourself again because of your busy personal life. Log into the forum at midnight local time and ask a question. Or even answer a question someone else had. View the latest news on the facebook group or share something cool you saw. Watch a recording of a previous webinar or volunteer to give a webinar. Whatever your goal is, you’ll be able to achieve it at your own pace together with some very smart people from all over the world. Just know that the Global Power BI User Group will be there to support you. And who knows, you’ll probably even make a ton of new friends! While the Global Power BI User Group might still meet in real life in the future, if you’d like to find a local Power BI User Group near you today, don’t hesitate do so! Nothing should stop you from joining a local when you’re already a member of the Global Power BI User Group. Personally I’m also a member of the Belgian Power BI User Group! There are already more than 300 members in the Global Power BI User Group. Adam Saxton AKA “Guy In a Cube” (blog | twitter) gave a first presentation, introducing the Global Power BI User Group, a couple of weeks ago. And now we’re about to announce our second presentation. 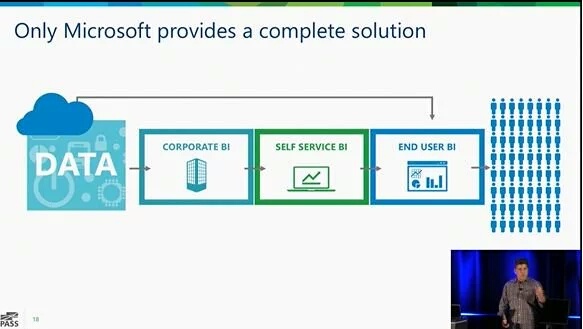 It will be a reworked version of “Personal BI to Personal Data Science“, a session demonstrating how Power BI can easily be used by anyone to not only democratize BI but also data science. I’ve already given this presentation twice in the past month. First time at the “Data Culture Day London – Power BI Edition” and the second time at the local Belgian SQL Server user group. 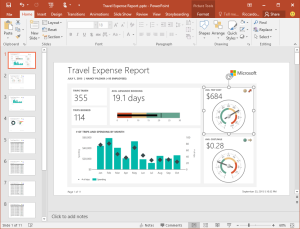 In addition the the previous content, we’ll dip our toes into the a new feature: using R within Power BI! So far I’ve given this presentation with my colleague Kimberly Hermans (twitter), a data scientist. With her experience, she rocks the data science parts in the presentation and she can answer your questions surrounding data science. I expect her to show up but she’s not sure about her agenda yet. You can’t pre-register anymore but you can follow live on the day! Or you can watch the video afterwards! Also, don’t forget to join the Global/Virtual Power BI User Group ! Questions or just some feedback you want to give? Leave a comment, tweet me or go to the Global Power BI User Group forum or facebook page! At the time of this writing the new image wasn’t available (anymore?) in Azure and there was no CTP 3.2 available for download from the Evaluation Center. All the fancy downloads like Report Builder for CTP 3.2 etc are already available however! I’m sure that we’re all dreaming about all the cool new features that Microsoft is going to release! After having seen R integration, will we now see Datazen integration? Will we already see improvements to R Services? It will probably be another 2 weeks before CTP 3.2 is actually released. If you’re like me, you’ll be regularly watching MSDN documentation for spoilers on the new features! Got thoughts, information or just an opinion to share? Sometimes you find some really old SSIS packages on some lone server. And sometimes you even have to support them. And rarely, those packages aren’t in source control yet. Today, I had the joy of bumping into all 3 conditions at once. Read on to see what I did to solve this! Couldn’t attend PASS Summit 2015? I’ve included the 3 sessions that I think will have the biggest impact on your daily work. There are 19 sessions in total for you to enjoy, thanks to PASS. So let’s watch some recorded sessions! Read moreCouldn’t attend PASS Summit 2015? 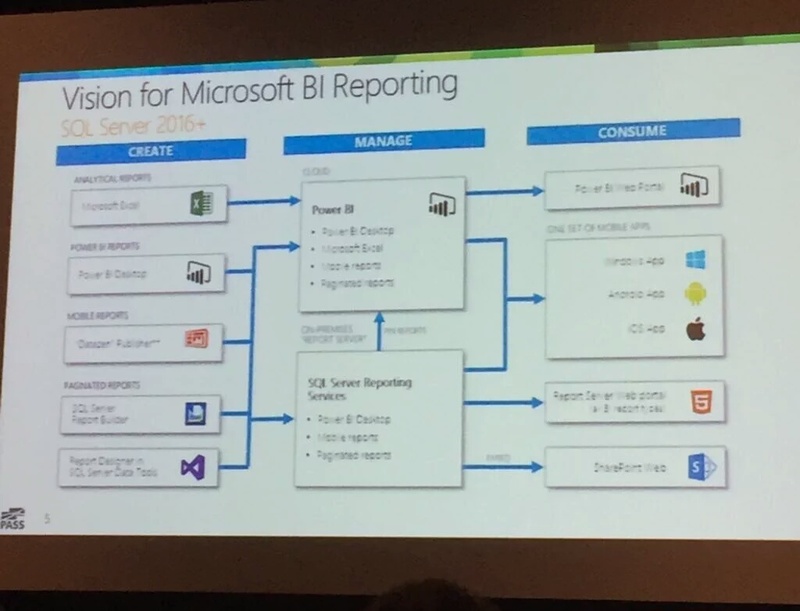 Watch out everyone, here comes Microsoft’s vision for the future of BI Reporting! Straight from the PASS Summit 2015, thanks to several people on twitter kind enough to share. From On-premises to Cloud solutions, the vision is complete starting right now! 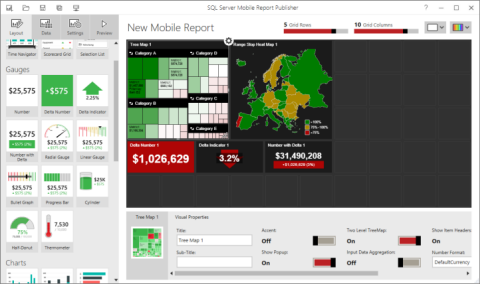 In other news, SQL Server 2016 CTP 3.0 has been announced. 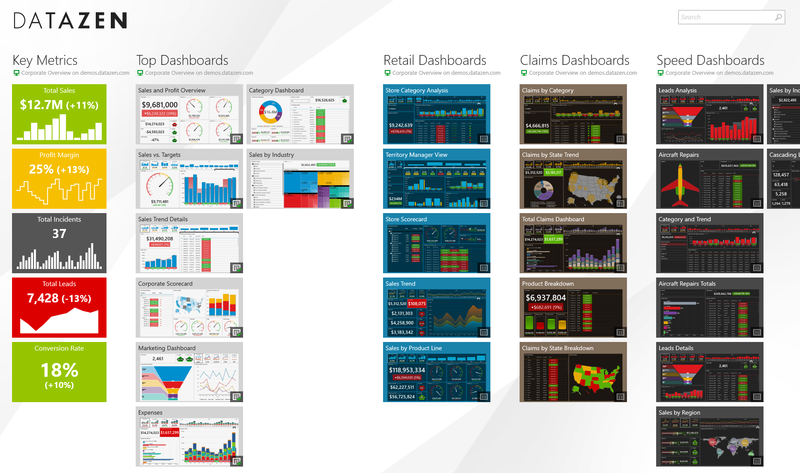 Not only is it feature complete and amazing, it will just change the way we look at business intelligence. Read more about it on the official blog and some more in this official post. Clicking below picture opens them in full size, for the last 2 it’s very useful because of the quality. This last picture is a bit blurry, but those who know the platform can discern the complete picture. 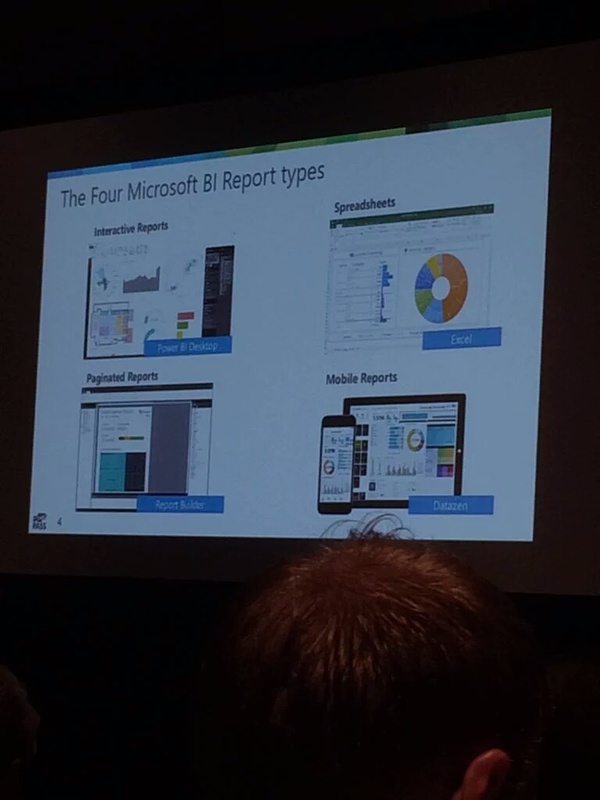 From creating Analytical and Power BI reports, to Mobile and Paginated reports. 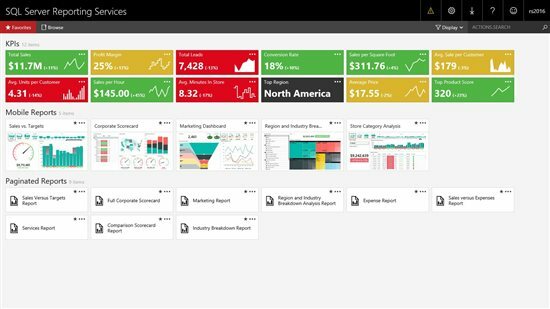 It will all be manageable in the cloud on PowerBI.com or on-premises in Reporting Services. And of course, the journey ends when the end user opens the reports on PowerBI.com, his mobile device or the corporate SharePoint.